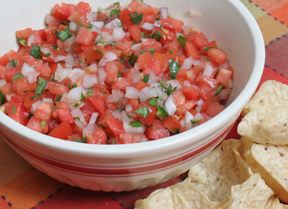 Fresh salsa that you can whip up yourself. 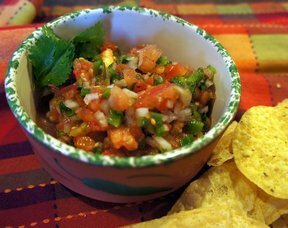 Of course, fresh garden tomatoes will make this salsa the best, those store bought ones can taste pretty good, too. 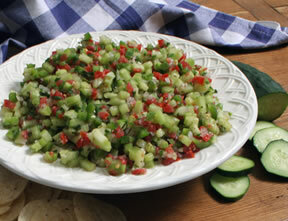 Leave the seeds from the jalapeno in if you want it extra spicy. Chop vegetables and garlic and mix in all remaining ingredients. 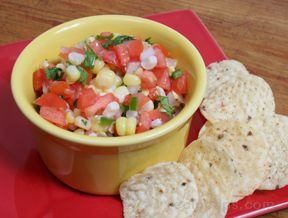 Serve on tacos or with tortilla chips.